Today we have more new ideas/techniques for you to try. Have you ever wondered how easy it would be to create your own stencils? We asked design team member Olesya to show you how to create a stencil and then turn it into a card. 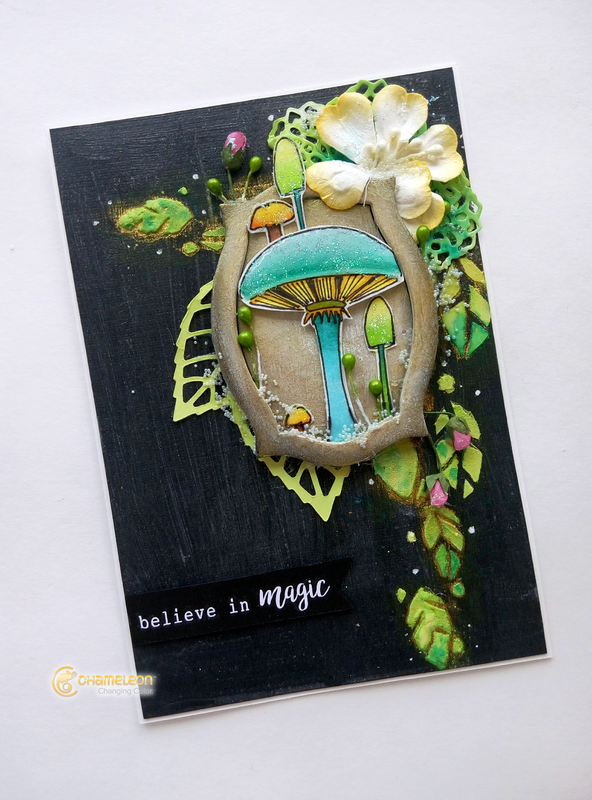 Olesya said "Magic theme is a great theme to spread your imagination and feel free to think out something unbelievable. I love bright Chameleon pens to make my magic elements more magnetic. " To see how to create your own stencil you can download the DIY stenciling card instructions here.